Like most people, I have incredibly fond memories of Mario Party. A group of four friends sat around a Gamecube or N64, cursing one another and sabotaging the board to the best of their ability. 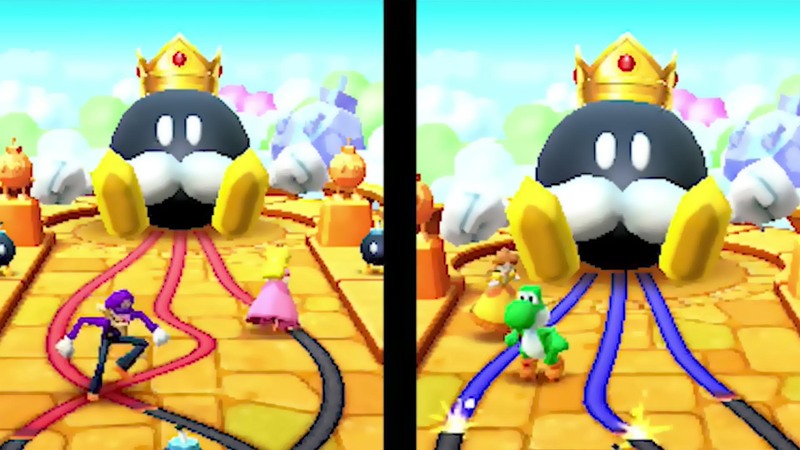 In that scenario, Mario Party thrives and it’s essential setpiece of local multiplayer gaming. But should you ever try to play Mario Party with less than four people or – heaven forbid – by yourself, well, the experience isn’t quite the same, truth be told, and Mario Party: The Top 100 does nothing to avoid this glaring problem. What we have here is a collection of the 100 best Mario Party minigames from across the precious 10 Mario Party releases. 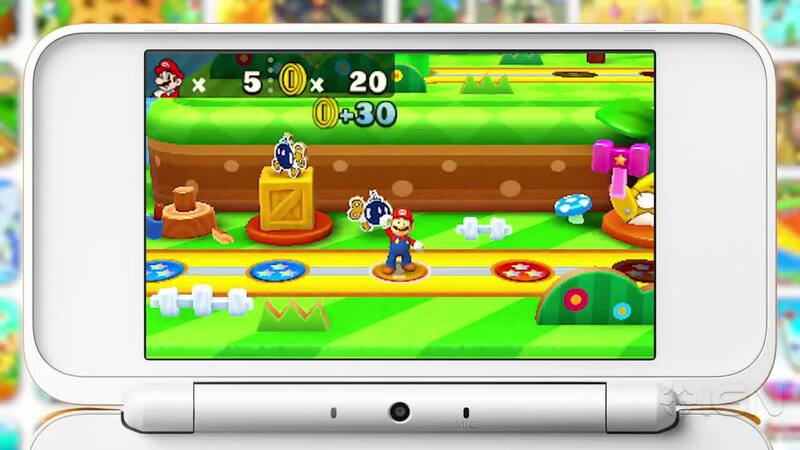 Minigames from older systems get a nice graphical bump to bring them into the modern era, and minigames are certainly more playable using the 3DS Circle Pad as opposed to the N64 analog stick. And for the vast majority of the time, revisiting these old minigames that you might have nostalgic memories attached to is a fun experience. At least, when you play them again for the first time. The reality is that these simple old games are now painfully basic. Well, they always were, but without a board game in between minigames, how shallow they are is made all too obvious. It’s a shame, but when you’re playing one after another for an extended period of time, the only redeeming feature is that there’s such a large variety – though I would call the quality into question. The only conclusion I can draw is that, in reality, there were never 100 good Mario Party minigames. 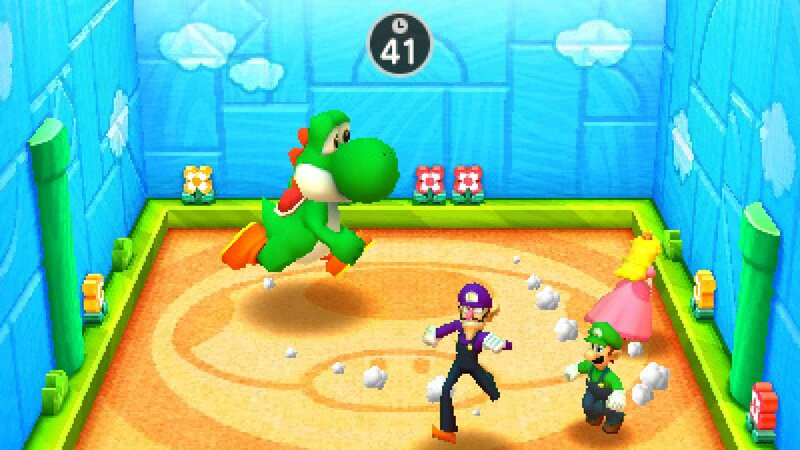 You’ll play more than one version of “knock other plays off the podium” and if anything it highlights how few classic and memorable minigames Mario Party has had. Many of the minigames here are just “press the button that is shown” or “pick the random switch” or even worse, “mash the buttons shown on screen.” The more complicated minigames, like Badminton or Volleyball are awkward, and how they play is rarely clear. The bottom screen tells you exactly what the buttons do, but certain moves in the more complicated games are only accessible in certain situations – you can only jump in Volleyball when the ball is set for a spike, for example, but that’s not clear unless you undergo trial and error – not good when that trial and error time could very well mean half the score limit has already been reached. There’s a short single player mode called Minigame Island where you’ll play all the minigames across four “worlds,” Super Mario Bros. style, and this is a good way to play through all of the minigames to unlock them, though it feels like a real chore playing through all 100 against CPU players. There are other modes to play with either friends or against CPUs too, a tournament style mode and a small board game which just isn’t the same as the originals, but an obvious attempt to appease fans of the older Mario Party games. The variety of modes is appreciated, but ultimately it’s just a variety of rulesets for playing the same sets of minigames. Nothing tangible changes during gameplay, just the win conditions at the end. But the fact is that nothing remedies Mario Party: The Top 100 being a terrible fit for the 3DS. 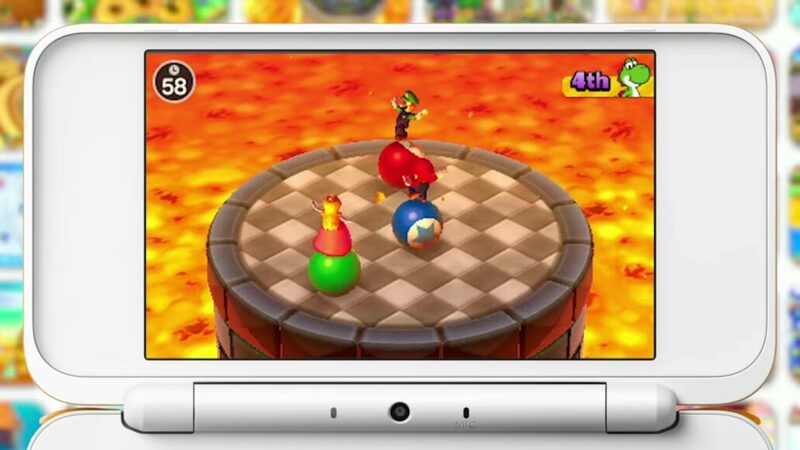 Four friends sat around a single console isn’t possible on 3DS, and although you can play many minigames with just one copy of Mario Party: The Top 100 and four 3DS consoles, that means you’re going to have to find three friends with 3DS consoles, all charged and ready to play. Honestly, even when the 3DS was the primary handheld system in my circle of friends this was a difficult task, but now that the Switch is out? Borderline impossible. And honestly, that just might be the biggest problem here. Playing on the 3DS with friends is fine, but far too rare of a situation. Instead, Mario Party: The Top 100 would be a good fit, if not a great fit, for the Nintendo Switch. Sitting around, four players with a JoyCon in hand each – it’s a mental image I had while sitting by myself playing the game on 3DS. I do hope they bring Mario Party to Switch soon, but until then, this honestly isn’t a very good replacement. Not worth it unless it’s a gift for a younger gamer, or you happen to get together with friends and 3DS consoles often.